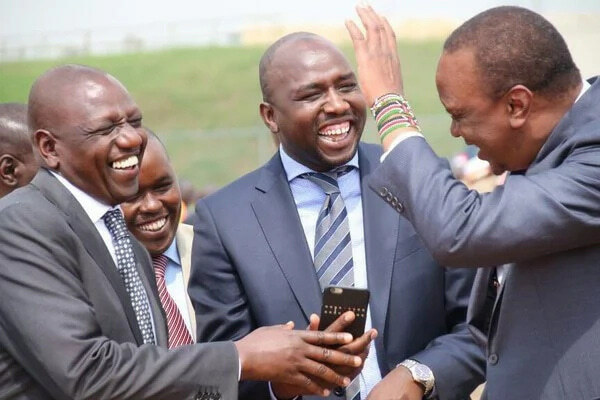 Wednesday April 10, 2019-Senate Majority Leader Kipchumba Murkomen has told Interior Cabinet Secretary, Fred Matiang'i, to disregard his latest appointment as Super CS by President Uhuru Kenyatta. Speaking during KTN's The Big Story segment, Murkomen said the promotion was likely to distract Matiang'i from his core duties as the security boss and urged him not to concentrate much energy to the new office. "I want to advise the CS Interior to avoid being distracted. He is now dealing with projects and special meetings, we want him to focus on security," he said. He lamented that insecurity in his Elgeyo-Marakwet County was on the rise due to cattle rustling. He noted that despite Matiang'i touring the area on several occasions, no solution has been found. "If these meetings the Interior CS keeps having were focused on security we could have already sorted this menace of banditry. The new police IG must set up the command structure on the ground," said Murkomen. Matiang'i was early this year appointed as the chairman of the National Development Implementation and Communication Cabinet Committee which was mandated to supervise the execution of Government programmes and projects.